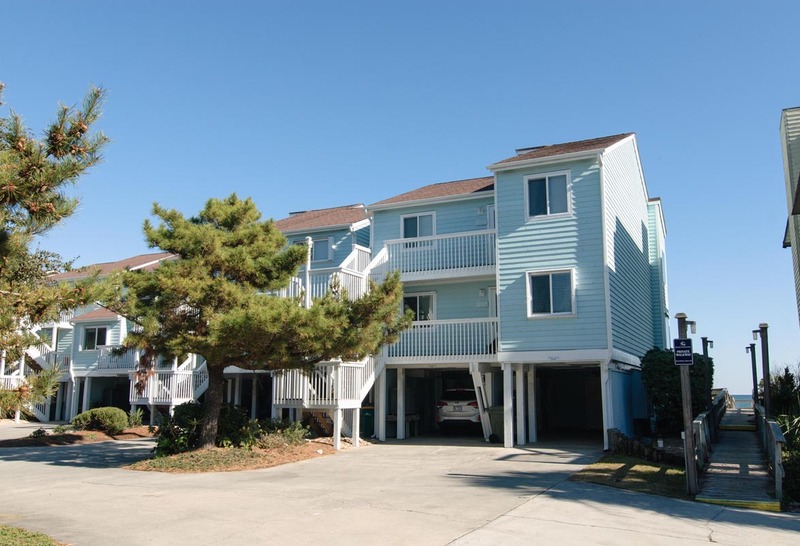 Get ready to make a lifetime of memories at Ocean Dunes, this top floor unit is located on the South End of Kure Beach. 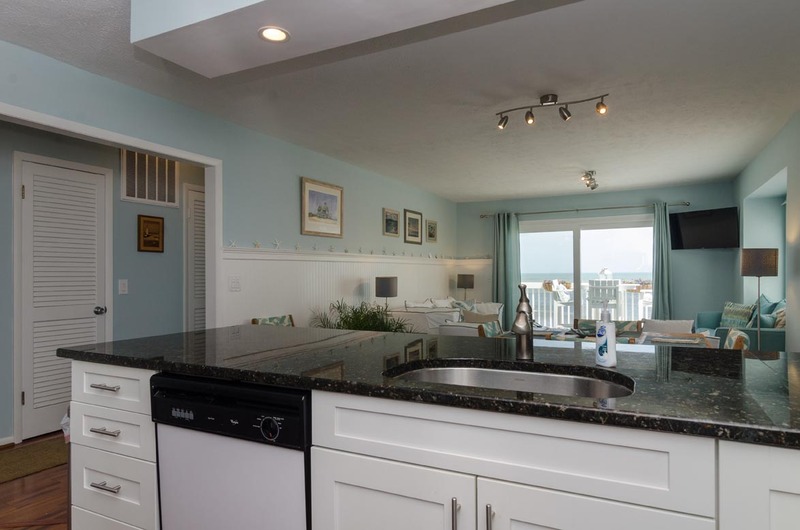 Enjoy your stay at this immaculate, 3-bedroom 2-bath oceanfront condo that sleeps 8. 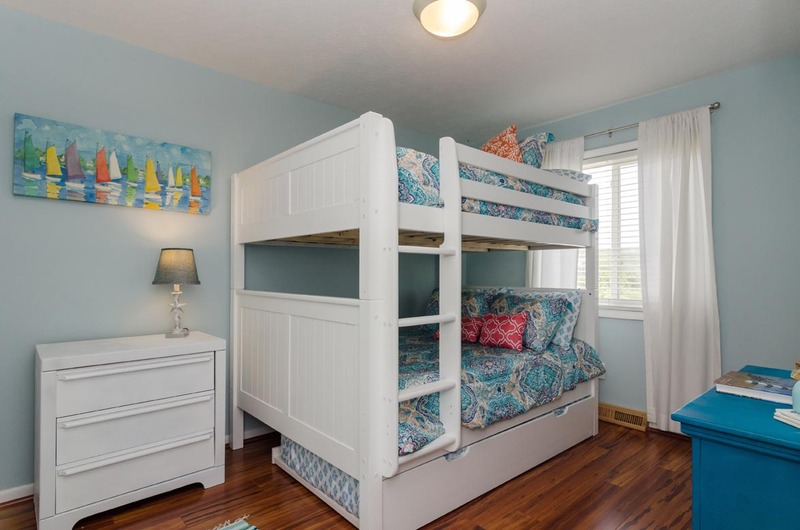 Queen in master, queen in 2nd bedroom, full over full bunk bed with twin trundle in 3rd bedroom . New owner as of 2017 has made beautiful updates. 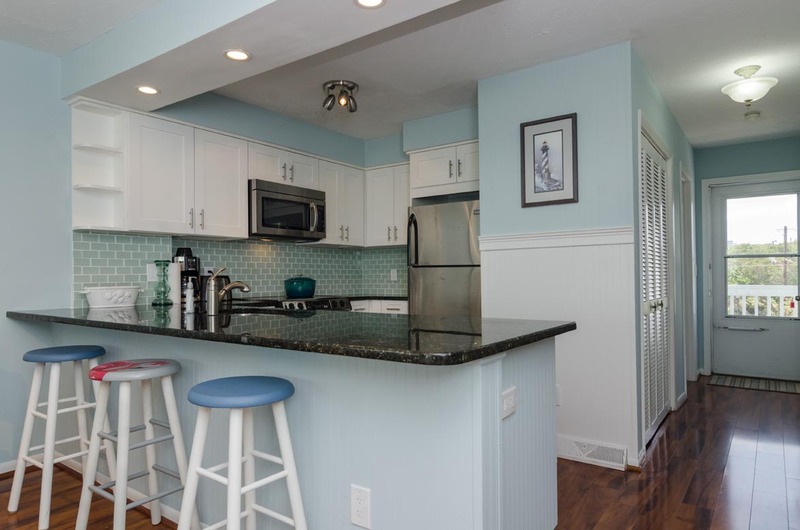 Hardwood floors throughout, new bead board and tile back-splash in modern kitchen. TVs in living room and each bedroom. 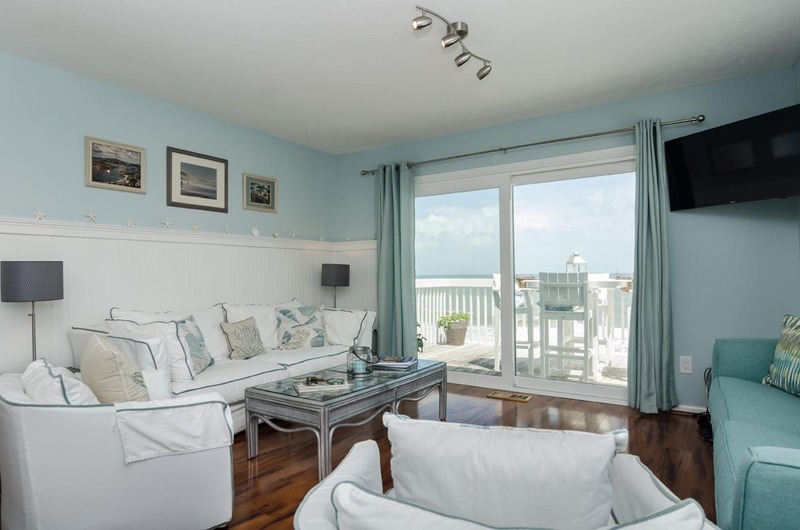 This top floor oceanfront property has fantastic views of the Atlantic. The property also features a private walkover to the ocean, with beach access directly beside the unit. Make your plans to visit Kure Beach today! Ocean Dunes is a perfect year-round vacation spot for families and is our most popular destination. Amenities include: indoor and outdoor pools, hot tub, tennis court, basketball court, club house, fitness room with new equipment, sauna, picnic grounds and a playground. 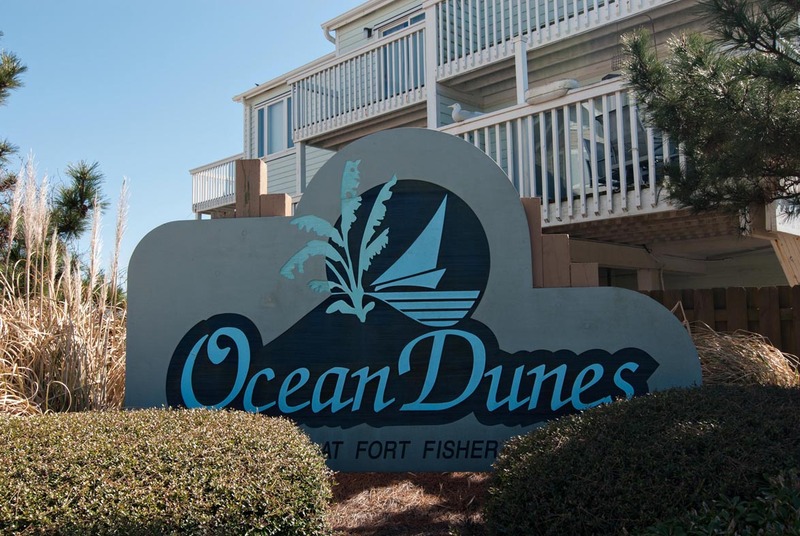 Ocean Dunes is also close to the NC Aquarium, Ft. Fisher Civil War Museum, and about one mile from the Kure Beach fishing pier. This condo was really nice. We stayed for a long weekend and were happy with our decision. First off, we were able to get into the condo a bit earlier than check in, which was great. When we got in, it was very warm, and a short while later we determined the AC wasn't working. We contacted the managers and they had someone out there within an hour. Fantastic service, and the AC was fixed! Other than that, the only issue we had with the condo was that there was no working outside shower to clean off sand from the beach. There is a shower there, but the water was turned off, which became a bit of a pain with four small kids. With three bedrooms, we had plenty of room for us all (four adults and four kids), and the kids loved the bunk bed setup in one of the rooms. The WiFi worked great, and the kitchen had anything we needed. The beach itself was quite nice and we enjoyed our time there. Other than the AC issue, which was fixed super quick, we had no other issues, and would definitely stay here again. Nice condo, quiet area. No problems. Alot of good places to eat. Beach was so pretty. Location, being right on the beach was very nice. Condo was clean. A little worn out, but compared to other places, this is much better. Still waiting for response from message I left though. Angela we appreciate your review, it is a very nice condo, we hope to see you next time. The condo was beautifully decorated yet homey feeling at the same time. The only thing that was problematic was we could not adjust the heat in the unit. We needed to have air on because the temperature was in the high 60s. We tried every way we could to make an adjustment with no luck. We had to open the windows to let some of the heat out. My friends and I had a wonderful, relaxing weekend at Kure Beach. 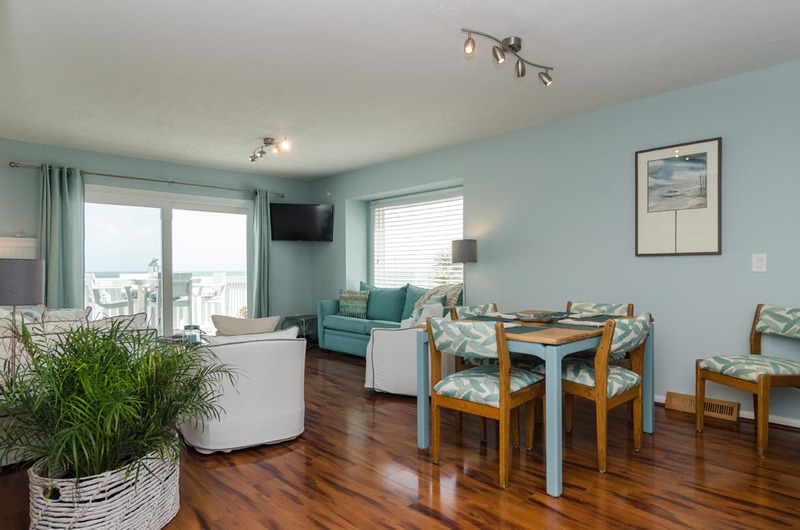 We loved the condo - it's easy to get down to the beach, the view is great, and the condo is upgraded and comfortable. I will definitely be returning! This is great to hear Elizabeth, we are so glad you enjoyed your stay. We'll see you next time. We really enjoyed this unit. They have everything you need for a short getaway or week long stay. Thank you for your review Lori, we are glad that you enjoyed your stay. See you next time. This place is wonderful! Beautiful views. The condo was clean and comfy and we had everything we needed. The beach was quiet, lots of shells for the kids. Can’t wait to come back! Charie, Thank you for your review. We're so glad you enjoyed your stay! We hope to see you again next time! nice place to stay,rates a bit high but will probably use realty again. the location, a great view,but not for swimming,because of all the rocks. but seashell hunting is awesome. had a great time. thanks to the realty and owners. Nicely furnished condo with a view. Quiet end of Kure beach . Beds were decently comfortable with soft linens. Kitchen equipted nicely. Tv in all rooms, nice deck furniture. Real estate company easy to work with. I was in for business trip for several days & wanted more than a hotel room . Be prepared for couple flights of stairs. Only downside to property was I had bugs on sofa which we think were ants. Housekeeping came & handled promptly. Also sent someone to exterminate. The fold out sofa had not been cleaned in, under & behind in too long. Food & crumbs were their source to come in. All furniture had not been cleaned under in awhile. All other parts of condo were clean. Overall I would stay again. The view & amenities at club house were nice. Hi Kristi- thank you for your feedback! This is a beautiful unit, and I am so glad to hear that you enjoyed your stay! I'm sorry to hear about the ants and the pull-out sofa, however. We strive for perfection with every check-in, but sometimes we do fall short. I am glad to hear that we promptly sent out housekeeping and an exterminator to take care of those issues for you, and I can report that all the slipcovers on the living room furniture have been thoroughly cleaned. Thanks again for your comments- we hope to see you back again soon! We had a wonderful weekend stay at Coquina Overlook!! Beautiful area, clean, inviting -- would love to go back. Kids loved walking to Fort Fisher! Beautiful condo, beautiful and quiet beach, awesome new friends and a great experience working with Bryant Real Estate! The weight room was closed to due renovation but no other complaints! Great time at Kure Beach! We had the best family vacation at Coquina!! 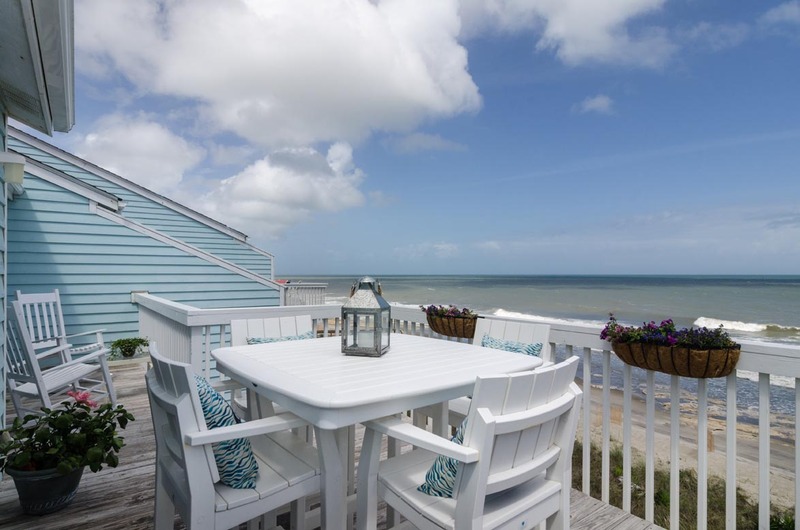 It was our first time staying in Kure Beach...and we were lucky enough to choose Coquina!! This condo was so beautiful...the beds were very comfortable...the kitchen was stocked with everything you need. The whole place was beautiful. There were seven of us...six adults and our two year old granddaughter. We can't wait to come back!! The condo was very clean and had an amazing view of the ocean! Our stay was amazing! 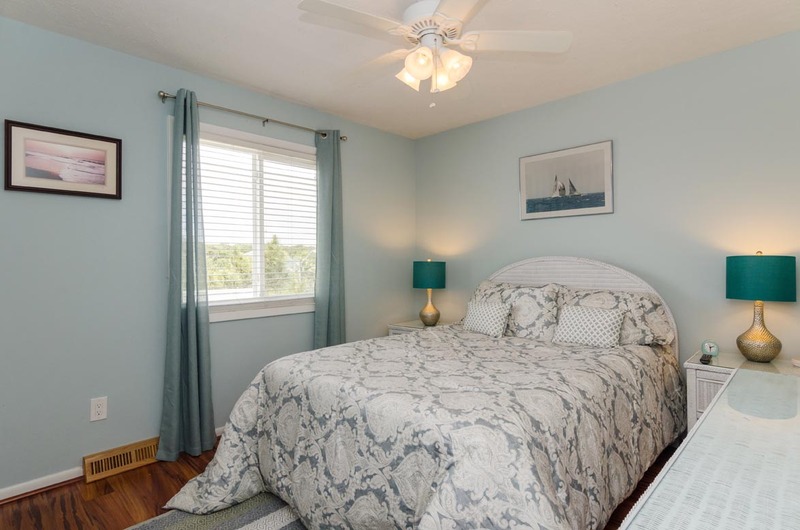 Nicely updated condo at the quiet end of Kure Beach. We had the beach to ourselves for most of the time we stayed here (26 april - 3 May)which was nice. The only drawback to the location is that the beachfront is pretty narrow compared to farther north of the condo. It wasn't an issue for us, but could be in peak season. You are also a long way from a pool at this location if you want access to one on your vacation. They have one across the street (if you want to risk it) or 9 buildings away if you are willing to walk. All in all, it was a very nice stay. 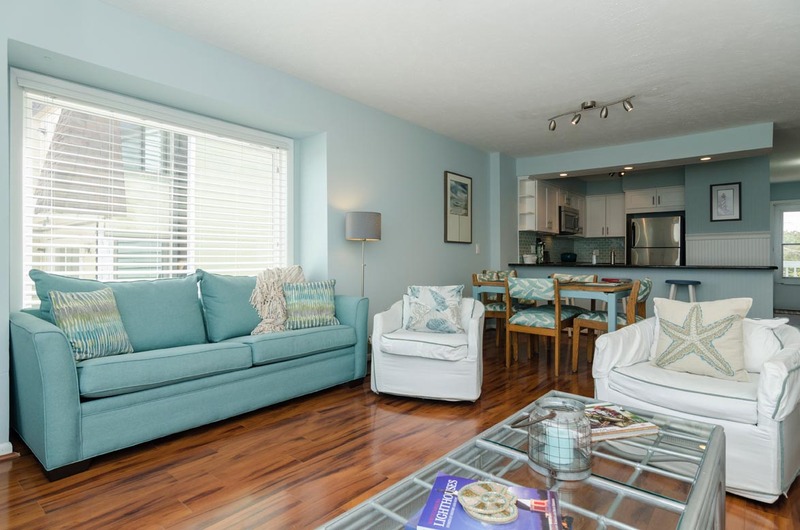 Beautifully upgraded condo. 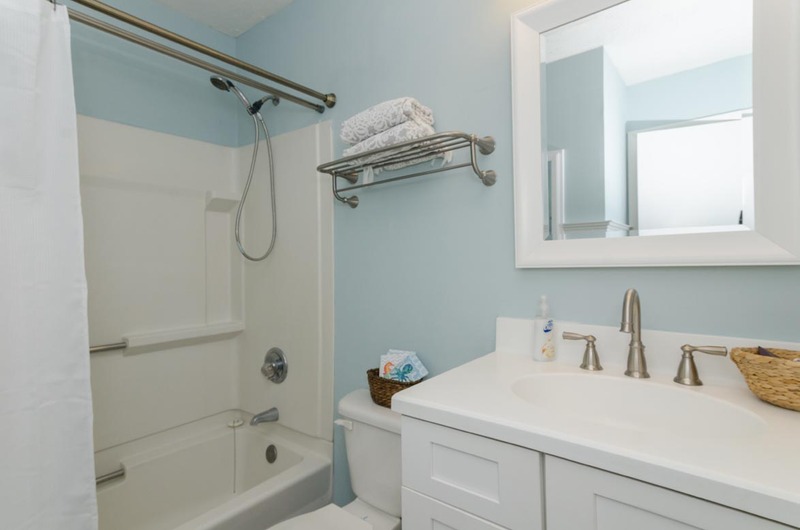 Very clean and tastefully decorated. 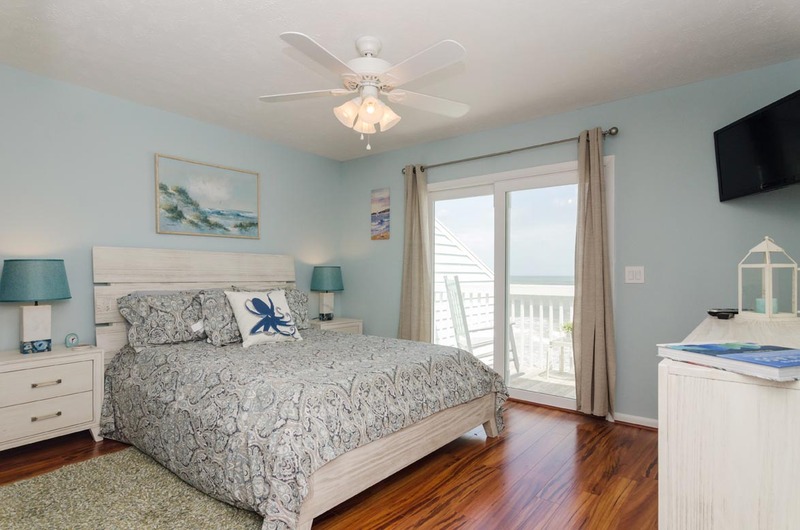 It is very close to the Ft. Fisher Aquarium and our favorite restaurants. Bryant Real Estate was professional and personal as always. We have rented from them in the past and they are very courteous and friendly. The property we rented was clean and described perfectly on their website. We will definitely rent from Bryant next year! 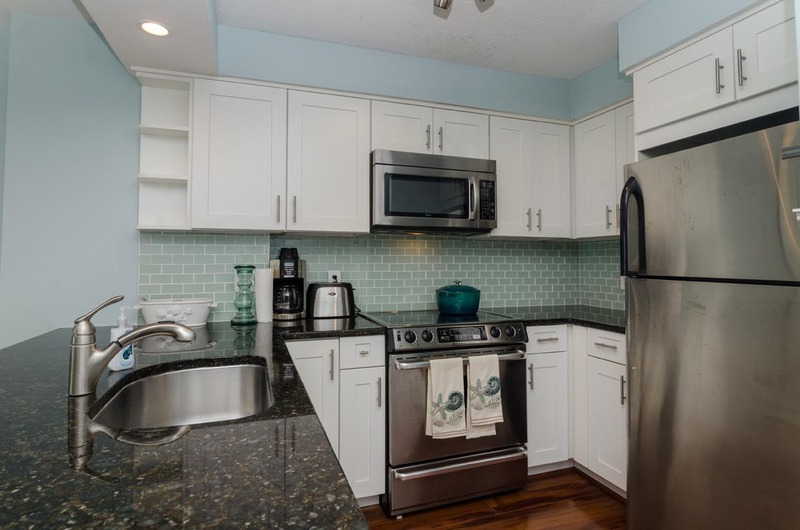 Beautiful condo in perfect Fort Fisher! Wewill stay there again next year if we can ! We appreciate your review and apologize for the construction during your stay. We hope that your letter of credit helped resolve your inconvenience and look forward to seeing you next year. The property was wonderful. It looked just like the pictures. Right on the beach. Spacious deck. Updated kitchen. Spacious bedrooms. Close to the aquarium and civil war fort. Driving with in minutes to many activities. Great Recreation Center, tennis courts, and several swimming pools. Weather not so great. We plan on returning in the future. Love the Condo and the area. Reality and agents were also great. We had a great time staying at this place. The unit was well prepared. There werequality kitchen ware, multiple board games, linen for free, great furniture and more. The property is few steps away from the beach and has beautiful view of the ocean. Large windows bring the daylight inside. Every one of us liked the place and We will definitely go there again. This is the nicest Ocean Dunes condo we have rented. We really enjoyed our time there. Our only issue was the number of fishermen on the beach. Some days we could hardly get in ocean because of the beach fishing. It would be nice if Ocean Dunes restricted beach fishing to certain hours in the morning and evening so swimmers can enjoy the beach in the afternoon. 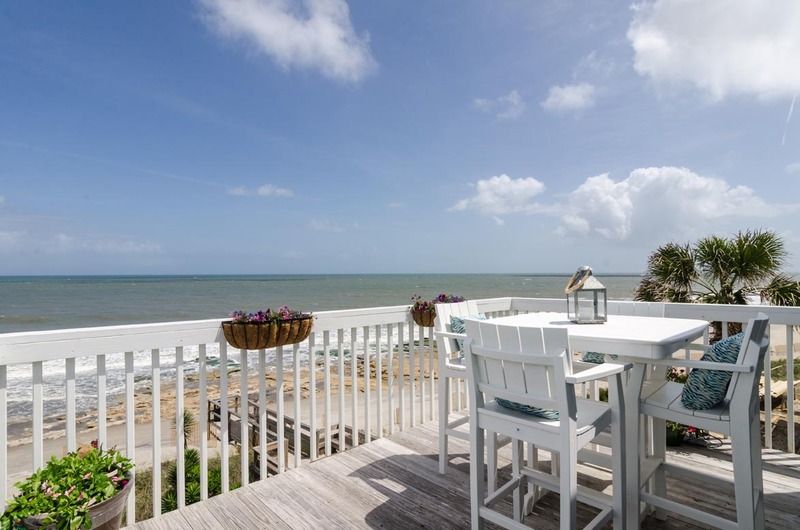 Hello Kinda - we are glad you found Coquina Overlook to be the nicest ocean dunes condo you have rented!! That's wonderful and it is an amazing condo. We are sorry that you had some issues with the fishermen. 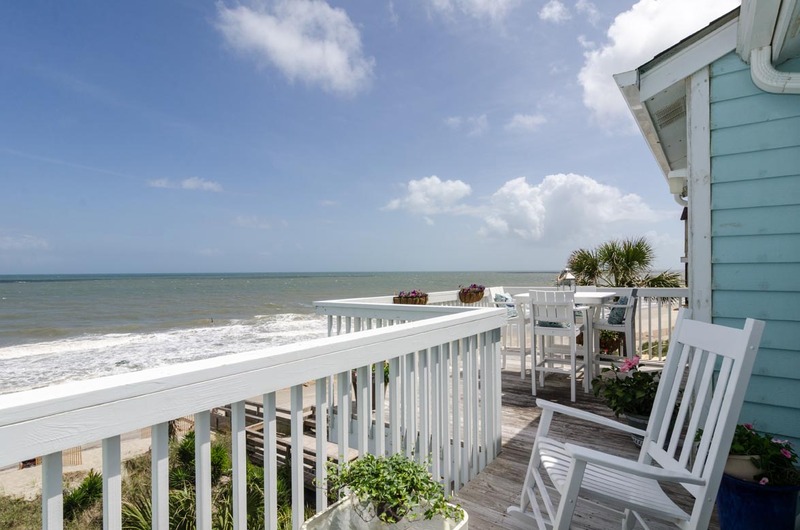 Kure Beach is a public beach and fishing can only be restricted by the town, not by an HOA. The town has to juggle all interest, swimmers, beach loungers, and fishermen when setting ordinances. We apologize you found the fishing excessive, but perhaps there was a strong run of fish and the fishermen were having one of their most memorable fishing trips!?! Such a nice condo in a perfect location for getting away from it all. The host thought of everything that would be needed for a wonderful stay. The only thing missing was a grill (which I assume you cannot have, since none of the units had one). Would stay again in a moment.